We are so excited to have our honeymoon in Hawaii! Thanks for visiting our honeymoon gift registry which includes all the things we want to experience at the Hilton Waikoloa Village. Legends of Hawaii Luau at Hilton Waikoloa Village from Hilton Waikoloa Village on Vimeo. Our honeymoon in paradise promises us an unforgettable experience with the Legends of Hawaii Luau. 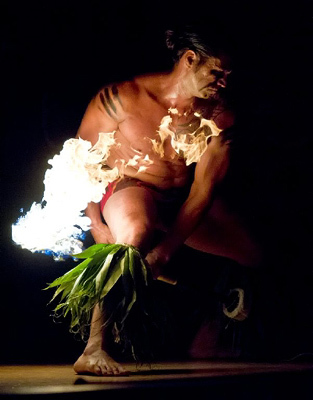 Focusing on the rich history of Hawaii Island, this Luau experience is unlike anything else on the Kohala Coast. A new custom show from Tihati Productions just for Hilton Waikoloa Village with beautiful costumes, live music and drummers, exciting interactive family activities and fresh table and food presentations – this is a ‘must see’ and sure to be a highlight of our honeymoon memories. Dolphin Quest at Hilton Waikoloa Village from Hilton Waikoloa Village on Vimeo. The Sea Quest will be the perfect wedding gift for our honeymoon at Hilton Waikoloa. We will go for a guided snorkel and swim with brightly colored Hawaiian reef fish and sea turtles then take a water scooter ride in the Hilton’s big ocean lagoon. 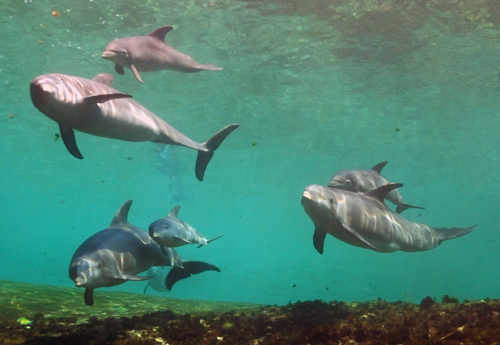 Next, we will top off our ultimate marine adventure with the Dolphin Quest encounter with playful dolphins, creating memories that will last a lifetime. 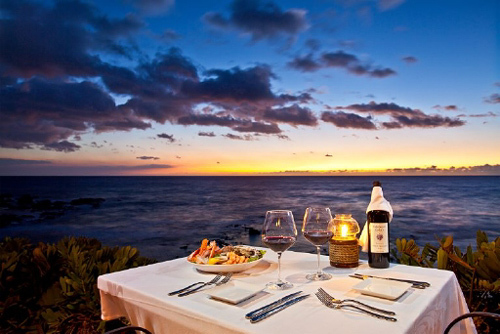 On our romantic honeymoon at Hilton Waikoloa we will enjoy a stay in the Ocean View Room or Dolphin View Room. Located in the completely renovated Lagoon Tower, these rooms are situated near the dolphin pool, ocean and snorkeling lagoon. We will take delight in charming settings boasting art treasures and antiques, refined yet relaxed furnishings, a king size bed with luscious linens, a lanai with spectacular views, lavish amenities and more. Our Deluxe Ocean View Room will be everything that we dreamed it would be! Located in the Ocean Tower, this tropical retreat is beautifully designed with art treasures and antiques, refined yet relaxed furnishings, a king size bed with luscious linens, an elegant bathroom, lavish amenities and more. Outside on our lanai, we will indulge in breathtaking views of the sparkling Pacific Ocean. With your lovely wedding gift, we will indulge in the enchanted settings of the One Bedroom Suite. Located in the Lagoon Tower, this soothing sanctuary features a separate living area with fine furnishings, hardwood flooring and a palette of natural tones, a dining area, a king size bed with luscious linens and an exquisite bathroom with a soaking tub and separate standing shower. From our private lanai, we will be mesmerized by the stunning views of this Hawaiian paradise. We will be pampered with the amenities and features of the Palace Suite on our honeymoon at Hilton Waikoloa. Located exclusively in the Palace Tower, honeymoon haven boasts a living area with fine furnishings, a calming palette of natural tones, a king size bed with plush bedding and one and one-half bathrooms. From the privacy of our lanai, we will sit back, relax and admire exceptional views of the ocean, mountains or golf course. 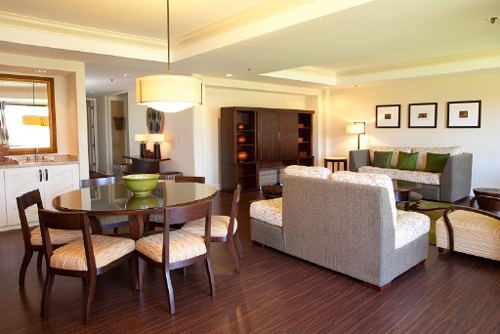 At Hilton Waikoloa we will enjoy a stay in the Nai‘a or Naupaka Suites. These two 1,680 square foot tropical retreats are located in the Lagoon Tower and have a large private lanai with outdoor dining and grill area overlooking the dolphin lagoon. Each one boasts a king size bed with luxurious linens, two full baths equipped with soaking tubs and separate showers, lavish amenities and more. Dining at Hilton Waikoloa Village from Hilton Waikoloa Village on Vimeo. 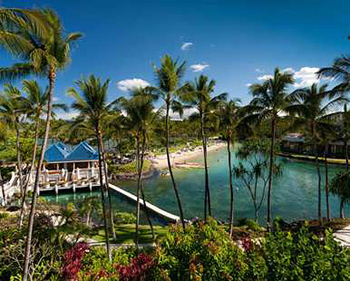 Hilton Waikoloa features a sumptuous Big Island Breakfast at Water’s Edge. Located in the heart of the resort, this restaurant offers lavish breakfast buffets that will tempt us with their freshly baked pastries, fresh island fruits, traditional American fare and a selection of Japanese specialty dishes. Thanks to you generous wedding gift, we will delight in the casual topical atmosphere of this tantalizing beach restaurant! We will enjoy friendly poolside dining at this charming restaurant, Orchid Marketplace. Located alongside the Kona Pool, this lovely outdoor eatery provides the perfect location for us to relax or to grab a quick bite. 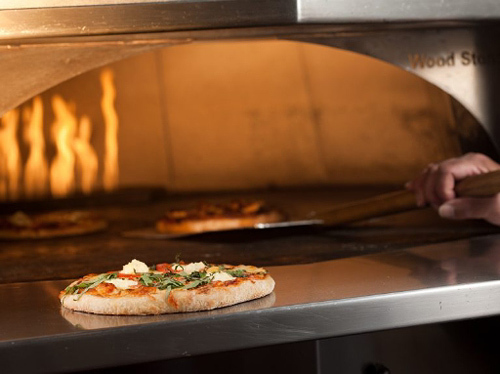 In the open-air settings, we will take pleasure in the convenient and tasty menu options. KPC, names a winner of OpenTable’s Diner’s Choice Awards for the top 100 most romantic restaurants in the US, offers breathtaking views of perfect sunsets featuring creative Hawaiian Regional Cuisine with fresh, locally grown ingredients an award-winning wine bar with vintages from around the world. 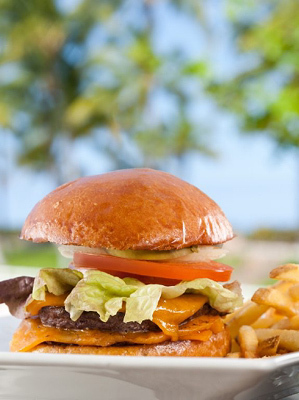 The oceanfront, fine-dining restaurant is on of nine dining outlets at Hilton Waikoloa Village. We will start our evening with a tropical beverage while viewing the breathtaking Pacific sunset. Located in the Lagoon Tower, this captivating steak and seafood restaurant is the perfect place to enjoy a romantic dinner on our honeymoon! 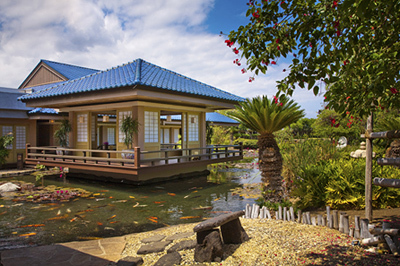 On our Hawaiian honeymoon at Hilton Waikoloa we will discover Imari, a captivating Japanese restaurant that features many distinctive styles of Japanese cuisine. We will indulge in teppanyaki dining and experience the chef artistry at the Sushi Bar while sampling a variety of fresh delicacies. We will delight in authentic traditional Japanese dining experience, or we will take pleasure in the succulent dishes available at this truly tantalizing eatery. 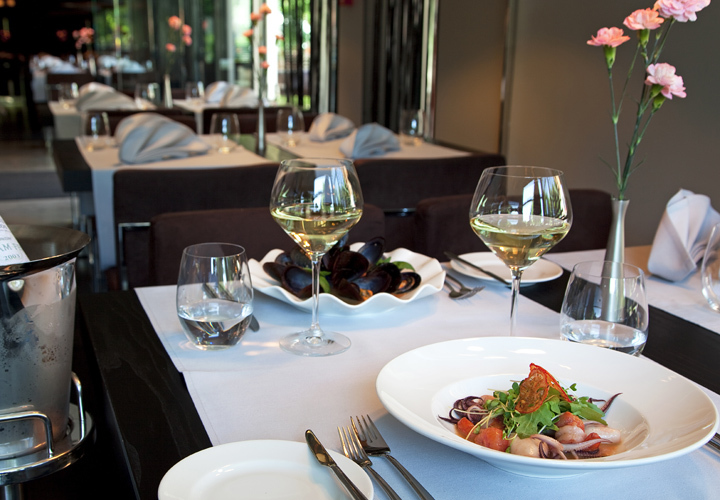 Kirin Chinese Restaurant is a delightful restaurant showcasing intimate dining. We can dine out on the lanai and take in the stunning views or admire the authentic décor and furnishings of one-of-a-kind Chinese artifacts. Here, we will enjoy a lunch of traditional dim sum as we immerse ourselves in an enjoyable fine dining experience at Kirin! Where Hola meets Aloha! Boat Landing Cantina is a fun and friendly restaurant where we can sit back, relax and enjoy tantalizing cuisine. Offering a delightful, casual atmosphere featuring Pacific Mexico cuisine with a fresh island flare, we will choose from menu items such as freshly caught island fish tacos, custom table-side prepared guacamole, cinnamon tortilla crisps and margaritas with an infusion of fresh island fruits. 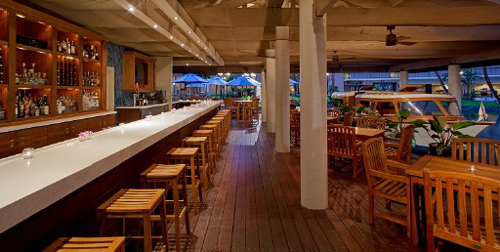 At Hilton Waikoloa we will take delight in the Lagoon Grill’s casual outdoor space. This open-air grill is the perfect place for us to watch the resident dolphins frolic in the lagoon below. We will enjoy a delicious lunch or dinner choosing from burgers, hot dogs, salads, sandwiches, tropical fruits, refreshing smoothies, exotic beverages and more. We will sit back, relax and enjoy the laid-back charms of paradise as we sip on our favorite cocktails in one of the fabulous bars and lounges. At The Blue Lounge at KPC, we will watch the sunset while indulging in specialty martinis and signature pupus. At the Malolo Lounge we will choose from an extensive list of wines, signature concoctions and light fare as we admire the intimate atmosphere. On our honeymoon at Hilton Waikoloa Village, we will shop around to bring a piece of paradise home with us. 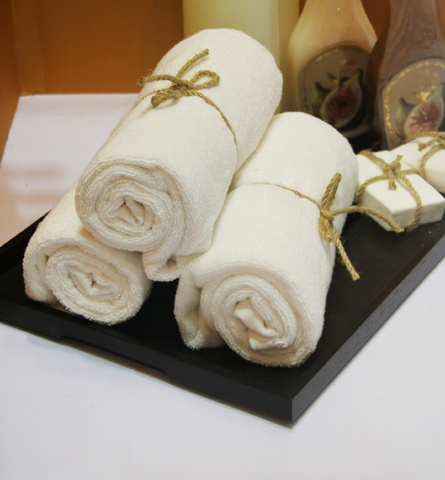 We will browse around the eclectic boutiques and shops throughout the resort in search of honeymoon keepsakes. From beautiful pieces of artwork, stylish accessories, apparel and jewelry, to locally made products and souvenirs, we will find just what we wanted and cherish these treasures in the many years to come! Experience Hilton Waikoloa Village! from Hilton Waikoloa Village on Vimeo. 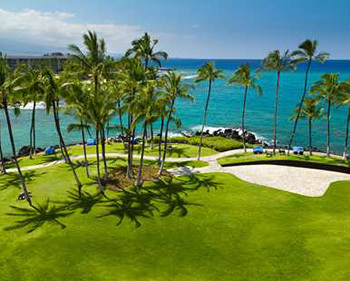 Hilton Waikoloa Village promises us a honeymoon just as alluring as the Hawaiian Islands. Located on the Kohala Coast on the Hawaii, the Big Island, this waterfront resort invites us to luxuriate in a full range of amenities, exceptional dining experiences, soothing spa rituals, and more. 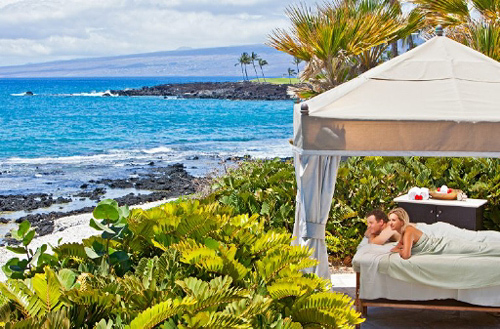 Hilton Waikoloa Village promises us a honeymoon escape drenched in the spirit of Aloha. Hilton Waikoloa Village and Hawaii Island Overview from Hilton Waikoloa Village on Vimeo. This impressive property is nestled within 62 oceanfront acres offering the best Hawaii Island resort experience for our honeymoon. 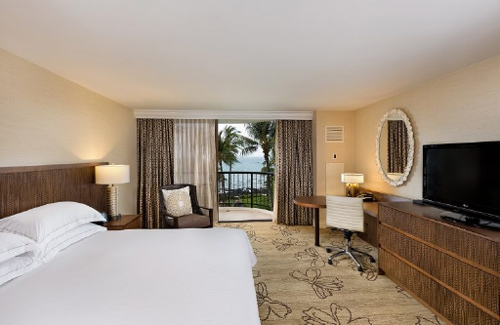 Featuring breathtaking tropical gardens, abundant wildlife, flagstone walkways flanked by Polynesian and Asian artwork, Hilton Waikoloa Village boasts luxurious rooms and suites, award-winning dining, world-class shopping, endless activities, sparkling blue pools, and more. With your generous wedding gift, we will explore the tropical enchantment of Hilton Waikoloa Village. A bottle of our favorite wine will be delivered to our suite. 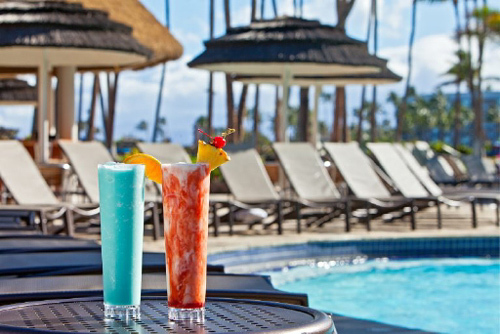 We will make a toast to our Hawaiian honeymoon at Hilton Waikoloa while taking in the sweeping views of the sparkling Pacific Ocean from our lanai. 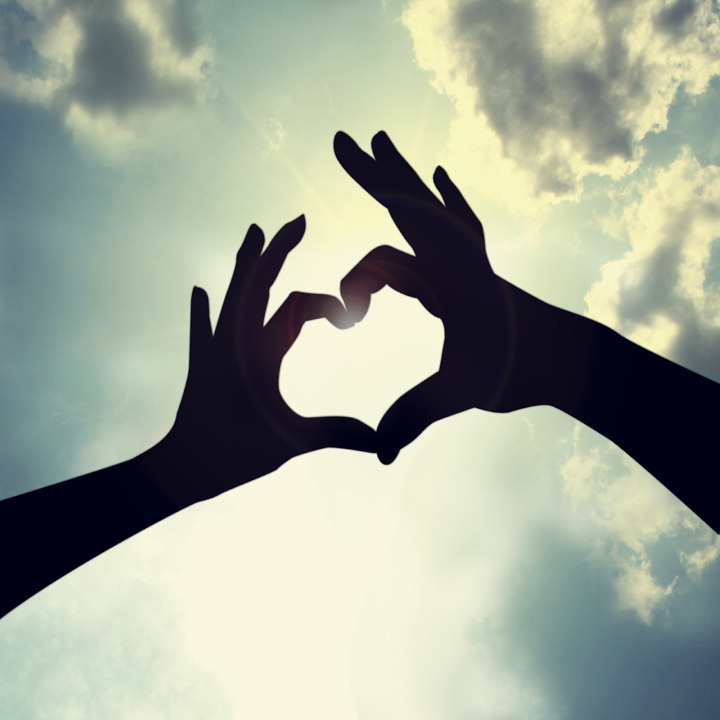 We will discover romance at its best! Hilton Waikoloa offers us a fruit and cheese platter that will be delivered to our room. This savory treat includes a variety of international, rich cheeses and succulent, sweet fruits that will delight the palate. For extra indulgence, we might even have a bottle of champagne delivered! 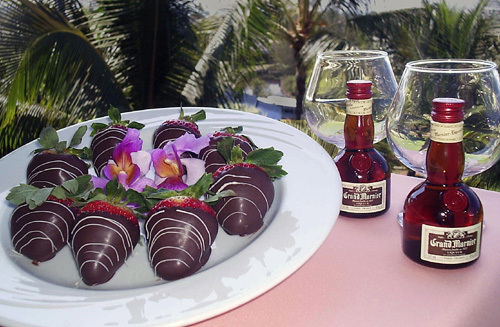 With your thoughtful gift, our taste buds will be tantalized with chocolate on our Hawaiian honeymoon. At Hilton Waikoloa, a platter of rich, decadent chocolate will be delivered to the room for the ultimate sweet treat in paradise. 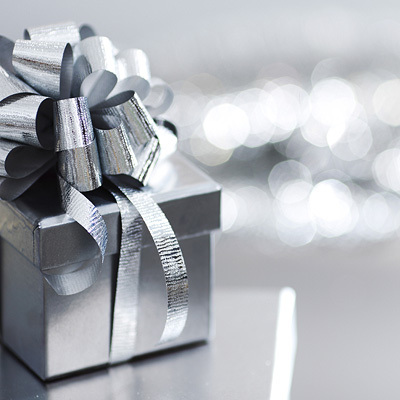 For an extra indulgence, we might even have Grand Marnier Liquor or a Bottle of House Wine delivered! Kohala Spa at Hilton Waikoloa Village from Hilton Waikoloa Village on Vimeo. Together we will be pampered with the special indulgence of a Couples Seaside Cabana Massage on our honeymoon. The rhythmic sounds of the waves and a panoramic view of this lush paradise will fill our senses and spirit as we experience a therapeutic massage while lying side by side. We will let our body and soul be calmed by the healing island! Our unique offering begins with an Awa Root and Hawaiian Ginger foot ritual and a blend of warmed local pure essential oils that will be massaged into our scalp and hair. 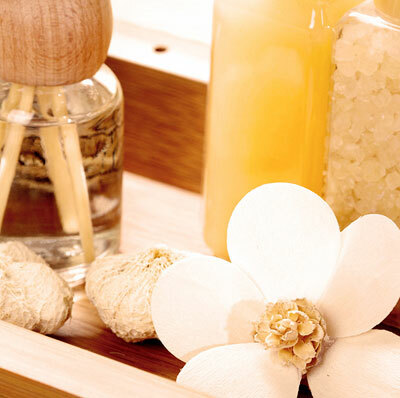 Next, our senses will be stimulated with warmed body compressions incorporating local healing herbs combined with a full body massage using a warmed blend of white flower lotus, and ylang ylang essential oils dripped luxuriously on our bodies. This one-of-a-kind experience will leave us feeling grounded and whole. On my romantic honeymoon at Hilton Waikoloa I will indulge in the Lehua Sugar Honey Scrub and Wrap. In the serenity of Kohala Spa, I will receive an application of heated Hawaiian lehua honey and Hawaiian oils that will be dripped slowly over my body. Next, I will be pampered with a Hawaiian sugar cane scrub to exfoliate my skin before being cocooned in a wrap as my scalp and face are gently massaged. 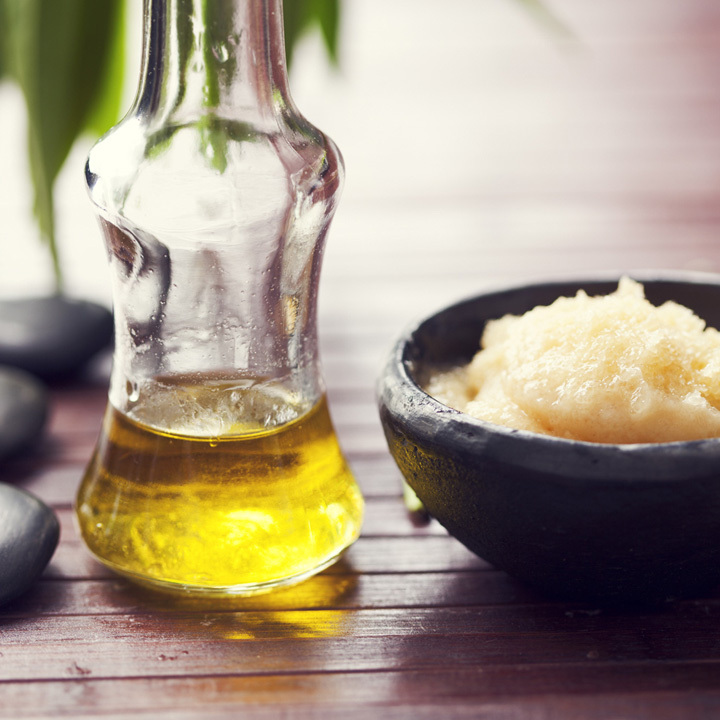 This lavish tropical treatment will end with an application of warmed local vanilla and sweet orange lotion. The Cooling Ti Leaf Wrap is the perfect wedding gift for my Hawaiian honeymoon. After a day of activities in the sun, I will receive a calming aloe and soothing lavender application to help my body start the healing process from sun exposure. The ti leaf plant known for its ability to pull excess heat from the body is used to cover areas where irritation occurs. I will take delight in the Kohala Facial on my honeymoon in paradise. In the tranquil settings of Kohala Spa, I will receive a classic facial that combines all the skin specific solutions of a European facial and much more. Next, a highly concentrated marine mask selected for my skin type will target the areas of concern. This treatment will awaken my complexion leaving me with a dewy radiance! With your lovely wedding gift, we will embark on the Orchid Isle Couples Journey at Hilton Waikoloa. In the enchanted settings of Kohala Spa, we will be pampered with a Couples Signature Orchid Massage while lying side by side, followed by a nourishing Couples Kohala Orchid Pedicure. My honeymoon in paradise will be enhanced with the Signature Island Manicure at Hilton Waikoloa. I will drift away on a sweet tropical breeze and choose from a Fijian Coconut, White Gingerlily or Starfruit essence so my hands can be immersed in a warmed hand soak. Next, I will receive an exfoliation of cane sugar infused with exotic nut oils and an application of a matching body butter masque to remove dry skin. I will sit back and relax as a warm, tropical moisturizer is massaged into my hands and arms leaving them refreshed and renewed, followed by an application of nail enamel. At Hilton Waikoloa, I will be pampered with the Signature Island Pedicure. I will choose from a Fijian Coconut, White Gingerlily or Starfruit essence so my feet can be immersed in a warmed foot soak. Next, I will receive an exfoliation of cane sugar infused with exotic nut oils and an application of body butter to reveal youthful skin. I will sit back and relax as a warm, tropical moisturizer is massaged into my calves and feet leaving them refreshed and renewed, followed by an application of nail enamel. 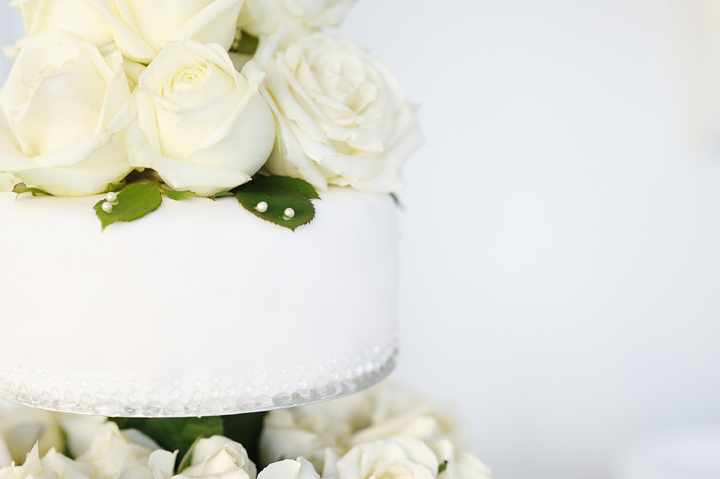 Our onsite wedding coordinator will ensure that every single detail is taken care of, from the wedding to the reception. We will choose from the stunning Hale Aloha Wedding Chapel, the lush Palace Garden, the luxurious Palace Garden Gazebo or the Grand Staircase. With your generous wedding contribution, we will exchange our vows under painted skies, tropical flowers will adorn us, and once the ceremony and reception have ended a mahogany canal boat will carry us away into our happily ever after.